Spring has sprung a major leak in Serenity, as the Mississippi River droops in for an extended stay. With hundreds of homes and dozens of businesses flooded, what better to help the cozy town get back to normal than a city-wide church bazaar? 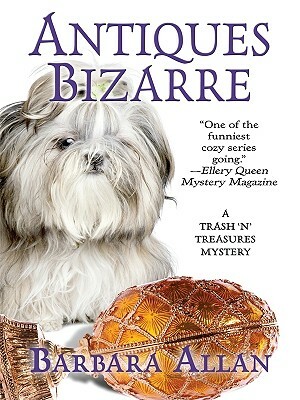 But Brandy Borne knows the outcome of her mother Vivian's plan is more likely to lean toward bizarre -- especially when she hears Mother wheedle a reclusive Russian heiress into donating the last Faberge egg ever created!